Barry Smith. Photo: Chris Hall. Barry Smith is a student of mine and we first met while he was attending a course in Sweden. Barry is a keen outdoorsman and a Scout Leader. He has a passion for adventure and spending time in wild places. In 2001 Barry completed his first bushcraft course and since then he has been honing his skills in his own time as well as attending more advanced training courses. He is well travelled having joined expeditions to Africa, lived in India and completed a number of Arctic survival skills courses in Norway and Sweden. Barry now likes to help other people by passing on his skills and enthusiasm for the great outdoors. Having written quite a few articles on cold injuries and cold weather clothing, I’ve had a lot of people ask about clothing on a tighter budget than I allow myself as a professional instructor. I happened to have a conversation about this with Barry; he offered to jot down his thoughts as he had budgeted in this way more recently than I had. Once I received Barry’s notes, I thought they could easily be transformed into a useful article from which others could benefit. I decided to put this blog article together after reading Paul’s previous articles on dressing for cold environments and the subsequent comments, particularly the comment from Chris Davies, who raised the topic of lower cost clothing for those on a budget. Many people want to make a journey to the Far North and some are put off by the anticipated cost of specialist clothing and equipment that they will need for this harsh but amazing environment. I write this article based on my own experience of outfitting for trips into the Arctic Circle in Sweden and Norway and everything listed, bar one item, I have used in these environments. I’ll explain the one item included but not proven by me personally later. On my first trip, I wasn’t sure if I’d be going back so I didn’t want to spend the earth on expensive clothing that I would have no further use for so, as far as possible, I sought out robust, reliable clothing at a good price. Inevitably much of the clothing is army surplus which is fine by me as it is well built and low cost. As with all things, though, there are good and great options but, with all due respect, the guy who runs the local surplus store or an eBay shop won’t necessarily have any hands-on experience of using cold weather clothing in its intended environment. With that in mind, I have written this article to pass on my experience and advice on low cost extreme cold weather clothing. I won’t be discussing the theory behind such clothing systems as Paul has already covered this in previous articles. What I will reiterate though is that natural fibres work best. Wool, cotton and leather breath better, are tougher and survive better around stoves and fires that will melt synthetic fabric in a flash. A balaclava is a great bit of clothing for really cold conditions, on snow machines where wind chill is a serious concern or at night if your face is cold poking out of your sleeping bag then you’ll be grateful for the extra cover that a balaclava provides. A great budget option is an ex British army wool balaclava. It’s thick and warm but some people think they are a bit itchy. I paid about £3 for mine on eBay. British Army Balaclava. Photo: Barry Smith. 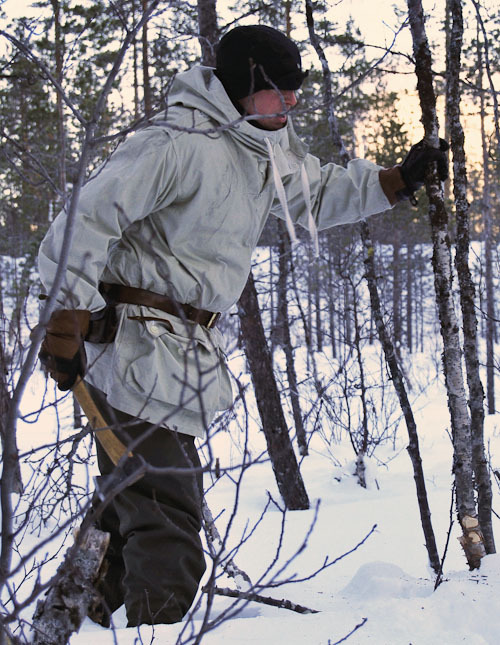 This is a great budget hat, designed as part of the Swedish army uniform used between 1959 and 1990 it is well made and purpose built for Scandinavian winters. 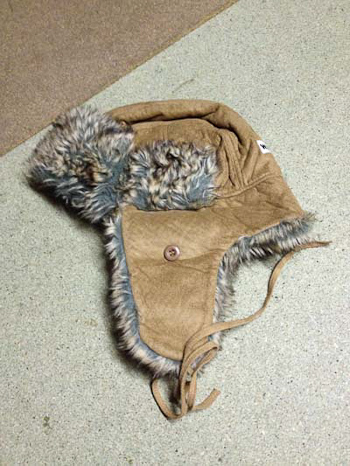 The hat has flaps that come down to cover the ears and secure under the chin keeping this area warm as well. You can pick these hats up for as little as £3 if you shop around. This is a Finnish made fake fur trapper’s hat, great for really cold days or periods of inactivity. I used this in Norway a few years ago and it was just too hot most of the time! This one came from a market stall in the UK selling Finnish handicrafts and similar versions are widely available for less than £10 in the high street. Finnish Trapper hat. Photo: Barry Smith. Paul has talked about the benefits of a head-over in extreme cold. It protects the neck and can be pulled up higher to cover the face and ears if required. The British army head-over is wool and great value from surplus shops. British army head-over. Photo: Barry Smith. I use two different protective systems for my hands, gloves or mitts, depending on how much dexterity I need and how cold I expect to be getting. Mitts keep your hands warmer than gloves as the warm air pocket in the mitt is larger than with each finger wrapped in its own glove. I would strongly suggest spending a bit more on hand protection if you can afford it. The Hestra Falt gloves are excellent but if you really need to budget in this area then the options below are workable. British army Gore-Tex mitts – These are designed to go over an inner mitt but the version I own do have a thin layer of padding inside so you can wear just the outer for really warm work such as digging snow shelters. 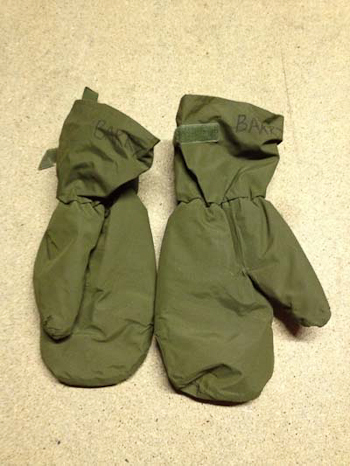 British army Gore tex mitts. Photo: Barry Smith. I don’t personally like the British army inner mitt, they are too thick and made of a nasty synthetic material. Instead I use Finnish army mitts which are made of wool. They are amazingly warm and I only paid a few pounds for them on eBay. Finnish army mitts make a great budget inner mitten. Photo: Barry Smith. The budget option for gloves is a pair of British army Solider 95 leather gloves. They are a good solid work glove with a Gore-Tex membrane. I think that the membrane probably doesn’t aid these gloves in extreme cold and they can be a challenge to get dry inside as the liners don’t come out but they are just about workable. British Soldier 95 Gloves. Photo: Barry Smith. 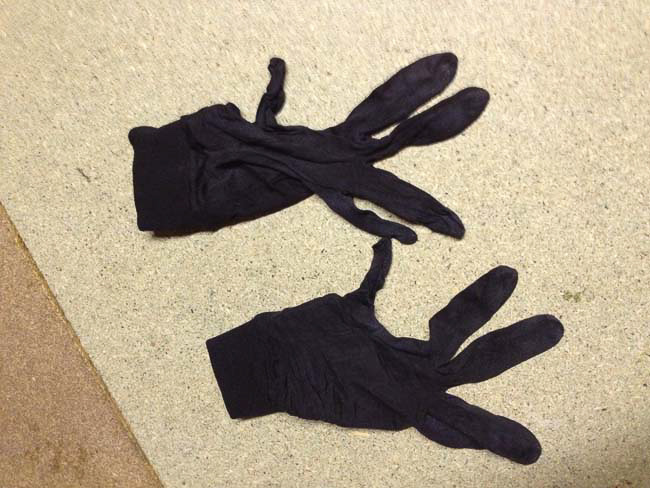 Silk liners for gloves. Photo: Barry Smith. Paul has talked about the importance of dressing your feet well in the Far North in previous blog articles and recommends wool as the first choice for socks. 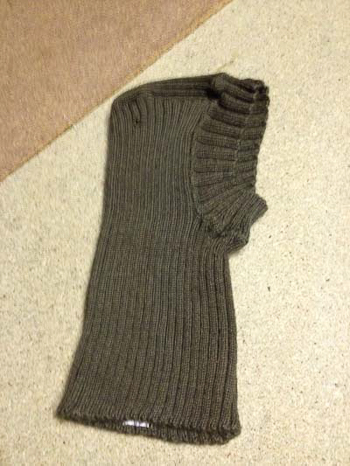 The British army Arctic socks have a high wool content are hard wearing and cheap. You can get them from surplus stores or from eBay. Last time I bought some I paid £10 for 3 pairs in Grade 1 (used but good condition). In fact I can’t praise these socks enough. The MOD did well with these and I wear them year round when I have boots on. In the Far North I wear two pairs at a time and have loads of spares with me. British Army Arctic Socks. Photo: Barry Smith. Swedish army ski march boots. I said in the introduction that there was one item in the article that I hadn’t personally used and this is it. 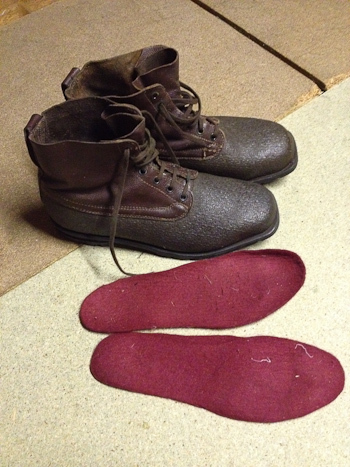 These are army surplus, used for many years by the Swedish army as a combined combat boot/ski boot. With sufficient insulation inside they will work well below freezing. I’ll be testing mine on my next trip with two pairs of thick wool socks and a felt insole. Swedish Ski March Boots. Photo: Barry Smith. The hard sole of a pair of boots will conduct heat away from you quickly leaving you with cold feet. Using sufficient socks, boot liners or insoles is important to prevent cold injuries and importantly you need to be able to remove the liners or insoles to dry out any sweat built up during use. I make my insoles from sheets of 10mm Wool Felt. You can pick up sheets online or from craft shops at a reasonable cost. Gaiters are a good way of keeping snow out of your boots and the British army snow gaiters perform this task well. 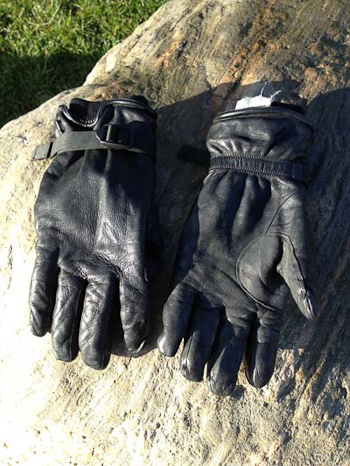 They are well made, not too fiddly (important with gloves on) and cheap from surplus stores. Equally you can use pretty much any pair of gaiters that you might use for walking in temperate climates so make use of what you already have. British army gaiters. Photo: Barry Smith. Dutch army half wool top. I have heard these called “Poor Man’s Ullfrotte”! 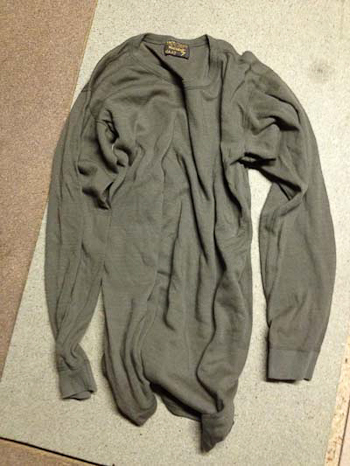 They are a good base layer with a 50% wool content. Non itchy, hard wearing and very warm. Highly recommended and available from surplus stores if you shop around. I bought mine from Endicott’s army surplus in Exeter for less than £10. 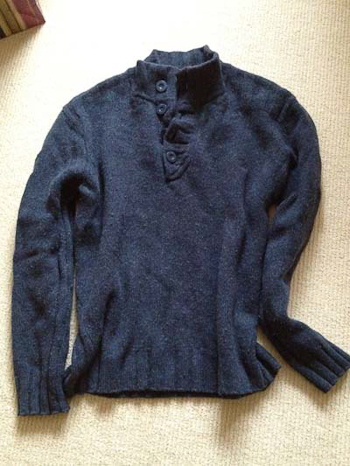 Dutch army half-wool top. Photo: Barry Smith. I wear these under a pair of Filson wool trousers that are really heavy and don’t need a lot of additional insulation. They are reasonably well made and were on offer at Aldi a few winters back for about £12. 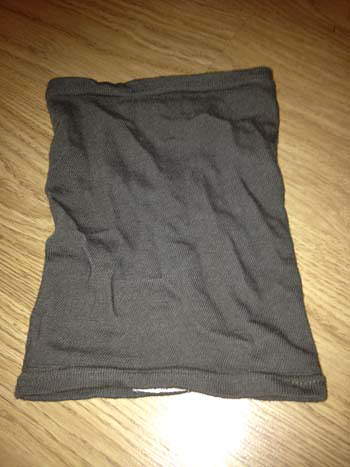 A good budget option for lower body base layers. Aldi merino long-johns. Photo: Barry Smith. Most people have a thick wool jumper and, if not, check out the charity shops for something chunky. Mine was a present from my wife and is too hot for the UK but ideal in the Arctic. It is 100% thick wool, super warm and isn’t scared of flames! Thick Wool Jumper. Photo: Barry Smith. Paul uses the term ‘Mothership Jacket’ which I quite like. 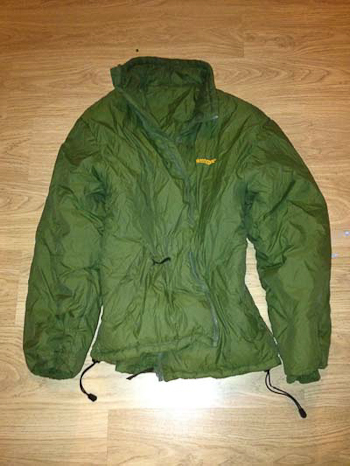 For my top thermal layer I use this jacket made by Trakker A company who aim most of their kit at the UK fishing market. This jacket is outstanding. Its like wearing a radiator when it warms up and holds your body heat. It has a Pertex-like outer so is windproof and has decent pockets that keep your hands warm when you don’t have gloves on. Trakker don’t make this jacket any longer but they do come up on eBay from time to time. Trakker Arctic Jacket. Photo: Barry Smith. The only downside of this jacket is that it doesn’t like fires. I burnt mine loading wood into a stove and its repair patch reminds me to be more careful in future… Another option here is a surplus British army softie jacket which has similar characteristics but I can’t guarantee it will be as warm. For my outer shell I use a Swedish army Snow Smock which is tough, wind proof and has massive pockets to keep big mittens in. I have made a number of improvements to my smock but I’ll save the details of that for a future article when the job is finished. On my lower half I wear the matching Swedish army Windproof trousers which are made of the same tough breathable cotton, keep the wind at bay and protect my wool layers underneath. I picked up my smock for around £20 and the trousers for about £6. Dressed for the snow. Barry in the Swedish army smock. Photo: Chris Hall. If you shop around and don’t mind used or surplus kit then you can pick up some real bargains that will work as well if not better that much of what you might find in a specialist mountaineering shop. P.S. Let us know what you think of the above clothing suggestions in the comments. Really interesting article. The one thing when going on any courses is how much you are going to spend, and although a lot of companies do say, “don’t spend a lot of money” when you don’t have alternatives or know how to find them, you end up buying what is on the kit list when something else might have worked just as well. Thanks. Purnima, I made the same observation, companies say don’t spend lots on their kit lists but that can be a challenge, especially if you are tall like me and limited for options. Hopefully my notes may help. We got some Swedish Army 3/4 length jackets for £20 and they’ve been excellent. Wot-no zip neck Norgie shirts? Hi there Phillipe, Swedish Army gear is great, I love it and they seem to have released lots onto the market recently, good news for us! With regard to the ubiquitous Norge shirt… I am not personally a fan. Those on sale in the UK and issued to British forces are made of cotton which I don’t like for insulation layers in any environment as it loses its warmth when damp. I’d second that comment on the Norgee shirt. I stopped using them 20 years ago when I got seriously into backpacking. I was walking all over the Scottish highlands with a rucksac, sleeping up on ridges and down in glens in a bivvy bag. I didn’t have much money and was using mainly surplus clothing such as dutch army combat trousers (dyed black they looked like decent, branded walking trousers from a store but cost £7). I’d spent what money I had on a decent pair of boots (had some great advice from a guy in Tiso in Edinburgh, he steered me away from big brands such as Zamberlan or Scarpa towards a brand called DB, which seems to have disappeared). I was an avid mountain biker back then too and the only waterproof I had was my prized Freestyle Gore-Tex cycling jacket. 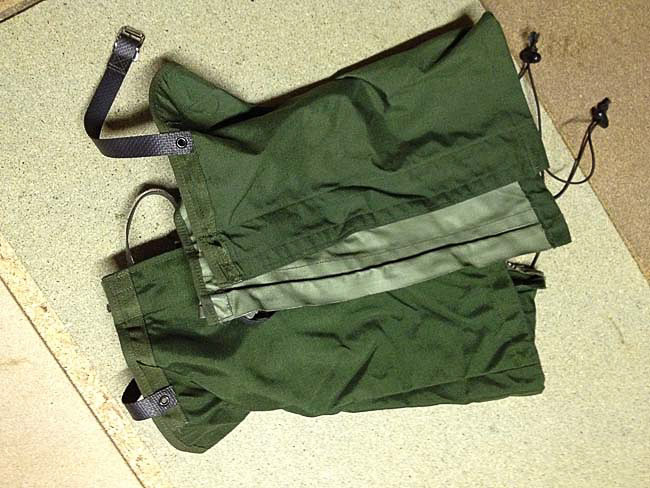 I found this great for walking too – it was before the days of lightweight walking jackets. For warm layers I used my thin KONA cycling fleece (with a Pertex lining up the front to wind-proof it – a great garment) and a Norgee shirt. The Norgee shirt proved to be a liability. It was like a sponge, taking on water very easily. The last trip I used it on was June 1995, I was in the mountains north of the Great Glen, at the top of Glen Affric. It wasn’t warm. There was still snow on the tops. Climbing up onto the Carn Eighe – Mam Sodhail horseshoe, the heavens opened. Between the rain and the perspiration of the effort climbing up there with a full pack, the Norgee was sodden. It stayed soaking wet for the rest of the trip (another week). I just couldn’t get it dry. I’d have been much better off with a cheap fleece. Having spent a lot of time in Norway and Sweden in the winter in the last 10 years too, I can’t say that a Norgee shirt makes much sense up there either. I’ve had clients try them up there and agree they are rubbish compared to Merino garments with loop-stitches on the inside (such as Ulfrotte). It seems the Norgee shirt has been superceded and there are better options whatever you budget. thanks for this article. I am dreaming of going up north, but as with many, gear expenses are a constraint. So this is very helpful! I will look into some surplus winter kit. Hi Mike, thanks for your comments. A trip up North is well worth it if you can make it happen. What we are trying to show here is that you can achieve a sound clothing system without spending the earth. All the best. Good article with excellent tips. For lots of equipment on bushcraft the army-surpus is the place to shop. Can’t wait to see the next article. Hi Rody, Thanks for the comments. Its nice to see an article on sensibly priced equipment which can be easily sought by people on a lower budget. I think too much branding has come into bushcraft,not all of us can afford norrona or fjallraven clothing which i think personally is way overpriced. Also UK bushcraft companies who endorse these brands should have cheaper alternatives available to students.Well done Barry on an excellent article and Paul more articles like this please . Hi Nigel, Thanks for your comments, I am pleased that you like the article :-). I think your observations are sound, I actually have a lot of fun selecting the right kit and getting it at a bargain price! I do have some Fjallraven trousers and cant criticise the quality. However, I wear these year round for outdoor activities so that justifies the price in my mind. I agree that Norrona and Fjallraven are expensive. But so are some UK brands such as RAB and Mountain Equipment. It doesn’t necessarily make them bad value though. It depends how much you use them. For most people in the UK who are going to make a special trip to the boreal forest in northern Scandinavia, you might only use your kit one or two weeks. Ever. It’s just not worth spending thousands of pounds on clothing and equipment to go there. I do own the Norrona ‘Recon’ Jacket and trousers, for instance, and have had them for nearly 10 years. I use them a lot and they are still serving me well. I’ve made many wilderness trips in them. I’ve used the trousers a lot for ski-touring in Norway (along with a cotton Norrona smock). I also use the trousers for canoeing (and the knees are still in good shape). I use the jacket regularly in the UK too (like last week when I was running an Elementary Wilderness Bushcraft Course and it rained most of the week). With the Recon gear it’s that durability and reliability that you’re paying for. But most people don’t need that for one or two weeks above the arctic circle. What’s important is that you have good layers, large and warm enough footwear and good (not necessarily expensive) handwear. And you don’t need to spend hundreds of pounds on a jacket to get out into the woods in the UK either. I’ve often found a Ventile smock over a wool jumper to be the most comfortable way of staying warm, even if a little damp, in the woods in the UK. This combo is also stress-free around a fire. Norrona’s range of hunting jackets is also said to be good although I’ve never tried any of them. Most of Norrona’s other kit has become very trendy over the last few years and, from what I’ve seen of it in stores in Scandinavia, is that it is very lightweight, quite small fitting (for use in the North) and quite flimsy. I have two sets of their old Gore-Tex XCR gaiters too and they are the best gaiters I’ve ever used (or seen). Unfortunately, they’ve stopped making them. I tried a set of their ‘Trollveggen’ gaiters a few years back. They are shapeless tubes with poor zips that are obviously cheaper to manufacture (and they still charge a lot for them). They are rubbish. I’ve had about 10 pairs of Fjallraven ‘Forester’ Trousers and I’m not overly impressed with them. The material – G1000 – dries very well and is much better than 100% cotton but the construction is inconsistent. The stitching often proves to be poor quality and most of the pairs I’ve had went back for repair at some stage (which was always very well done). The buttons come off regularly too. I bought the first couple of pairs but later I used to get them FOC as work uniform. I have some older Fjallraven trousers – I can’t remember the model name – with thicker G1000 than the Foresters and elasticated ankles. 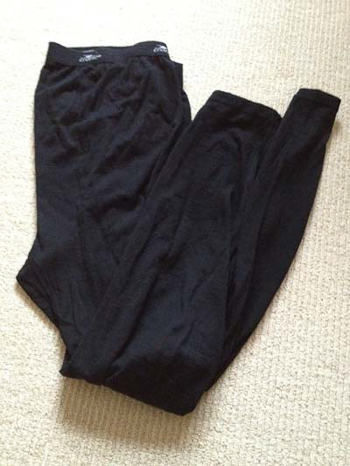 These are excellent trousers – very well made and very durable. Scandinavian brands are pretty expensive in Scandinavia too. Don’t travel there expecting a bargain. Norway and Sweden are expensive countries generally. Great article Paul, I am looking to visit the far north hopefully in the next two years. What i have been doing is buying the best winter kit on the market, a little at a time, buy winter kit in spring and summer, it’s much cheaper and i can afford to get the best this way. There are some very good shops in the lakes offering great discounts on winter clothing in the spring/summer. I then put them aways ready for my trip to Canada/Sweden in the coming years. Anyway it feels good to have the best kit (treat yourself), it’s warmer, lighter and it dries a lot quicker. I started getting my far-north kit about two years ago, starting with the underwear (Paramo) and then the base-layers, (Paramo and Fjall Raven), i have just been and got my mid-layers and G1000 pants this spring, and a very good deal i got to, get up the lakes now, you will get some great deals. I will get my outer clothing next spring/summer; this is the best way for me to buy expensive kit on a budget, little by little. Always buy the best once, buying cheap and nasty is in my book false economy, i am not saying ex ARMY kit is cheap and nasty, but you can get a lot better, take your time to buy the kit you require, it is much more affordable this way. I agree with Hedgey buy the best once, because I’m worth it. I don’t like the idea of using army surplus equipment that may have been worn by a killer. So buy swiss military materials and send the saved money to hungry african children! Good post. Just one note regarding the Swedish army boots. In that era there were three different boots issued; a pure leather boot (looked the same as the one you show, but without the rubber, the “rubberized” boot you show and a felt boot (actually canvas over felt, with leather reinforcement). For the latter think modern fabric/leather boots, but with green canvas instead of the nylon. For winter wear the best practice was to use the felt boots in actual cold (-10 C or colder), and only use the rubberized ones when it was around 0 C or warmer. The reason was, of course, that the rubber would trap damp and then make you freeze. And more socks than you thought was sane (2 pairs of thick socks under a felt liner is about right for true cold, add a third if you don’t have a felt liner). I like the classic wool scarves as well; you can adjust them as needed much easier than one can a buff type garment. Available cheeply from many stores, no doubt including Goodwill. Hi Pär, Thanks for the detail on the Swedish army boots, it can be hard to find out background like that. I agree with your comments about the rubber boots and the risk of getting damp feet. Since writing the article I have acquired a pair of Canadian army mukluks for use when the ski march boots aren’t cutting it. I like your tip on doubling up sleeping bags. From one Arctic Dragoon to another I must say that your article is very well thought out with some fantastic money saving tips. It is not often that I talk about Ray’s Woodlore site having bargins ( alway great kit, fairly top end price wise! ) but the Swedish army leather over mits are a fantastic buy for the money. The Dutch military used 80% wool fleece jackets made by Helly Hensen ( mine was £30 ) which come up on the surplus market, mine proved its worth up and around Bardufoss, Norway, again on an advanced trip just two weeks ago. Hi Chris, I hope you are well. Thanks for the comments and your suggestions. Speak soon my friend, I am looking forward to hearing about your last trip..
For Years I am experimenting on using army surplus gear from various armies through a supplier called http://www.raeer.de in Germany. Very good prices and durability. Not comparable with the high street brands in fancy colours. You need a good set of basic equipment. After that you can try and change to army gear. The difficult part is to make it light weight (if possible at all). Army geat tends to be heavy, but you can trim and alter to your see fit. Turn to army gear (as many other outdoorsman, too), save money, be more environment friendly by re-using. The colour fits / blends better into the landscape. And don´t forget: Do NOT spend more time sitting indoors by experimenting ans selecting gear than outdoors. Go out and test it. Now you have saved money by re-using gear. Maybe with this savings there´s an extra weekend in the field for YOU out there! Hi Erik, thanks for the link, I’ll check that out. Raeer, ASMC, SPEZIAL DEPOT send packets, but if you are in Germany, you find small shops in the most cities. Just ask for an Army shop in english! Original Bundeswehr must be offert, there is rubbish on the market too! The german army changed after the reunification from heavy olive cotton clothing to lightweight uniforms in Flecktarn camo. (65% cotton, 35% plastic fabric) I did not find lighter clothing for forest use, than the Flecktarn uniforms. The system is well designed, german engineering at its best! Its made for positive 30 to negativ 25*C but the warm trousers belong between normal trousers and Goretex outer shell, the warm jacket belongs under the light parka, there over the gtx. The German army counts with most times temperatures playing around zero in winter times. But if goretex outside is ok for you, that works very nice in very cold weather too! ( Only the british bivi bag is lighter than the german one, the german sleeping bag is no real hiking stuff. I decided 4 weeks ago to buy a snugpack special forces sleeping bag system, expensive, but small, flexible and light. May be, that it is just possible to buy from the german army the new carinthia bivi bag, next step of Gtx evolution: Ventilating watertight membran which allowes to breath trough the fabric(!!!) called gas permeable, here you can close the zip over yorself in stormy conditions. Avalible knew directly from carinthia for people who own a gold mine! Like that austrian jeep Mercedes G — nice, but a bit expensive! So, the olive Bundeswehr clothing is bad most times, if you do not get an olive prototype for the newer ones. The Flecktarn uniforms are very good, and very light and very cheap! Every original Flecktarn material can be recommended. Thanks for this great article! I feel it enlightens those, who may not otherwise even try to get outdoors, to do so, in knowing that looking cool, in the latest high tech gear, is the only option. A great, common sense knowledge shared! Thanks for your wonderful blog! Glad you liked the article! I share your thoughts on Paul’s blog, It’s become a goldmine of outdoor information. I loved your article, i am a BELA Tutor, and I am constantly telling people not to spend a fortune on kit, I had a chap come on the course to be a BELA with no kit, it took about 3 hrs in T K MAX to get him the basics for walking in the hills. Thanks for the comments, There are indeed some great things to be found if you take the time to look! No worries Dave but the thanks are due to Barry for taking the time to write it after our initial discussion. Great article Barry. It is so nice to see folk advocating the use of army surplus as their outdoor gear. The Arctic was my first taste of any proper Bushcraft related activities. I was very lucky , my wife won me a trip with Woodlore and it was my first encounter of Mr Kirtley . It was an absolute eye opener and life changing stuff. The advice that came to me then was shop around and don’t spend too much. I had nearly 9 months and did precisely ,that using Army surplus stores all over Wiltshire , Somerset and Dorset. I was an absolute novice and knew absolutely nothing, the internet provided me with a little background knowledge which helped hugely. I felt this was just going to be a once in a life time trip , leaving me with a tick in a box, been there done that ! I succeeded in keeping to a budget , arrived with kit ,almost fit for duty but as an individual was lacking any sort of knowledge in bucket fulls. Thankfully those who surrounded me filled in many of the gaps in kit and voids of knowledge and kept me safe- as much from myself as the surroundings ! My advice to anyone thinking of venturing to any Wilderness destination for the first time especially The Arctic. Travel with a well respected guide or company ,-knowledge is the fey and essence , spend wisely on adaptable clothing and be prepared to listen,learn and take notes. Look after your extremities ! And of course ‘go and do it’. The trip became more than a tick in a box and despite having been to colder climes on more than one occasion , I still realise it isn’t a case of been there – done that..
My philosophy on any outdoor kit, hot temperate or cold weather, is look and see what army surplus has to offer before you look at the big brands, they are usualy a lot cheaper and equal if not hardier quality. If you take a little time shoppig around you can quite often find brand new unissued kit for the same price as issued articles. Well done mate, a great read full of useful tips and cheap ways to stay warm. Its no cat walk in the woods all that matters is that your kit keeps you warm and dry. Other comments on this article are true, if its good enough for the army its good enough for me. with the winters we have had some of this advice is valid for the UK too. one question if i may any suggestions as to where i may locate the swedish trousers? not had any success. I can vouch for the M90 trousers too – very good and amazing value. Another great article, and perfectly timed as I’m just about to start shopping for winter wild camping gear. Many thanks for putting this together. Glad you found Barry’s article useful. Where are you planning to go winter camping? I really like the idea about using selfmade felt insoles. I’ve always worn quite bulky snow-mobileboots whenever I visited the North in winter (Akersjön, Sweden). 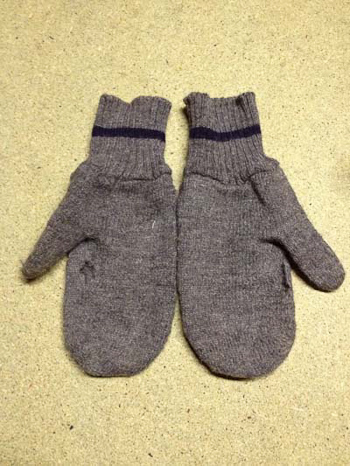 They are warm, but quite annoying to wear in and around your shelter. Last summer I bought a pair of Lundhags for half the price at Järpen, Sweden (factoryshop), (one must visit this shop whenever you are nearby), so I’ll sure be testing this great tip! Great article, I’m off to Finland early in the New Year so I’m voraciously reading all I can and I’m exactly the same position as you were on your first “not sure” first trip. Seeking as much ex-army stuff as possible and trying to eek as much bang for my buck as possible. Great article loads of sound advice, many thanks, especially like the felt insole solution. Thanks for a really good article. I particularly like the ski march boots listed. I was wondering if anyone has actually used them in Norway/Sweden in -temps ? What configuration did you use, socks, liners etc ? 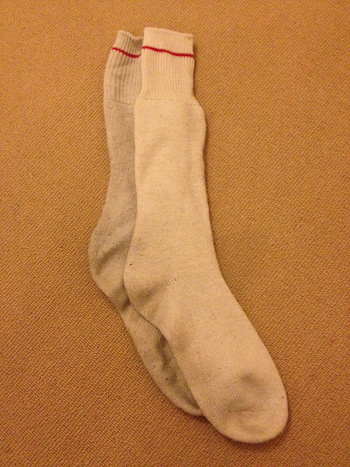 Did you go for one size up from your normal size to allow extra socks, liners to be used? Or did you use your normal size, and still have room for them? Did they breath okay during hard work? Comfy during a long slog ? Sorry for the questions, but thanks in advance. Following from Chris Allen’s question I have a similar one. I’m off to sub-arctic Finland in Feb ’14. I expect it to still be a bit parky though (perhaps not as cold & dry as Barry’s jaunt). Having read all of Paul’s very useful info I decided upon a pair of Grade 1 issued Austrian Edelweiss Infantry Mountain boots – basically better quality boots than standard army issue (but no MVP membrane). I’ve gone for two sizes too big so I can wear a couple of extra layers – socks + felt/wool booties to do no more than provide humour value for my fellow travellers. One of them insists that these are the dogs doodah type solution – http://www.gooutdoors.co.uk/hi-gear-duck-boot-adults-p212948 – now these look little more than plasticised wellies with all the associated sweating, sock removing pain. But they are waterproof! Please throw a few pearls of wisdom before this swine. PS I’ve Leder Gris’d my boots to death and then more. Ta very much. Just got around to clicking your link and taking a look. That style of boot is a very well established cold weather design, just a cheap rendition of it. Breathability is not super-important. What is important is that you can dry out everything quickly and efficiently. This is why integral linings are a BAD idea, particularly those containing breathable membranes that just trap moisture in the boot. A rubber shell with a felt liner and felt insole that can be removed in the evenings for drying is much preferable. All the boots I use, while they have leather uppers, have a rubber footspace. This keeps your feet dry when on the ice, fishing etc and exposed to water, as well as helping protect your foot and your boot when walking into surface water insulated by snow. Importantly it also stops water freezing into any leather that would be in this part of the boot otherwise. That said, well-oiled/greased leather boots that are a couple of sizes too big will work fine. If you get the bug and want to go back every year, I’d recommend investing in something more specialist and designed for the environment. I used the german army “Bundeswehr Kampfstiefel” with one pair of socks in conditions till negative 25*C walking, walking too through salt melted snow water in the streets of Berlin, that means, I walked through salt water that had perhaps negativ 10 degrees, i do not know the melting point, but it was simply cold outside and nice and warm inside my boots. No water came in the boots, for hours stepping in lot of this cold little lakes in the streets. They are not goretex lined, the manufacturer (I heared it would be Meindel , but I am not sure) does something else with the leather to make them waterproof. Raeer in Hildesheim sells them brandnew for 130 €. Because you cant repair them, used are not recommended. But you can buy them new and walk around 3000 kilometers till they get small wholes in the thin leather at the closing lines, another 1000 and the sole will break, what nobody can repair in this case, because the sole is glued in the leather, not stiched on. I love them! For mountain troops the Bundeswehr uses today a second model, which is Goretex lined, heavier and has a harder sole construction, its an alpin mountain boot, as high as the flat terrain Kampfstiefel. Last time I was in Hildesheim in the Raeer shop and could have a look at this model manufactured by HAIX. In my opinion it looks better made than the civil leather boots from Meindel, constructed for the same use and it is far cheaper. The Haix is constructed in an old fashioned way, if you look at the very important details, so that even if the goretexlining should break, you keep an old fashion made leather boot, where the rain and melting water has no chance to enter via the stiching, how it finds the way in most modern stupid designed hiking boots even from well known brands. (they all construct the stiching to day in the opposit way it should be and had been, before they came up with goretex! The german army boots have nearly no stiching, and when they have it somewhere its made like a roof, not in the opposit way like most modern shoes they sell to uninformed people, who perhaps think, Goretex lining changes the nature laws about gravitation! If I would like to go hiking in the mountains, I would buy that new HAIX BERGSTIEFEL, but only new, because i thing they sell it used, when the Goretex membrane is destroied. I am sure, even the new ones are a very good deal. But i never used them. So if you want something with Goretex that should be a good option. But of course: Austrian army boots should be ok, if you want to walk in the mountains! I guess, they pull something over the leather if they go in the snow, goretex or felt gaiters. If they are in winter times in a farm with hungry cowes, they put on long leather throusers till the knees, long socks, mountain boots and felt gaiters, take a large toboggan, go up to a small cottage, where they store the hay and drive with the toboggan down to the farm. Why should they use different equipment in the army??? — and i have seen gaiters like that for german or austrian mountain troops, the details i unfortunately forgot. The use of gaiters makes the use of normal boots more flexible by opening a wider field of use, I personly prefere modular systems like that, because its flexible, lighter, needs less room and is cheaper than buying every thing for special use. First thank you for such a considered and comprehensive response. I expect whichever solution, duck-boot or leather boot, there are specific benefits and problems. I hate to throw cash at a problem as that is the last resort, but unless I do splash c£200 I’m going to need to accept that no solution is perfect but we’ll maintained & prepared leather boots with lots of socks plus felt insoles will suffice……unless I get well AND truly bitten, then I’ll buy the Lundhags! Great article, great cheap kit range. The Ex-army kit is getting harder to find though as most of the worlds military destroy their kit now rather than sell it onwards which is a real shame. I live far down south(not Kent) but down in Southern New Zealand, I have also lived in Alaska, Tierra del Fuego, Scotland, Ireland and Sweden and I would put in that list the Buffalo Smock or Jacket/Parka. They are a relatively cheap piece of kit and they are “oh-so-good” in all conditions. For me it is a must in colder climates and this is spoken from somebody that has had access to cost price outdoor kit for over 15 years and has got all the “you-beaut” stuff. I agree – Buffalo stuff is great. I tend to use it more in cold-wet or cold-damp environments but I can’t deny how warm and comforting a Special 6 shirt is. April in the Cairngorms? Superb piece of clothing and I have to say, wearing it next to the skin as per the manufacturers advice is the way to go in those conditions. Feels a little weird at first when you need to ventilate, with cold air coming in the sides straight onto your skin but you get the hang of it quite quickly. I also always have a Special 6 shirt as part of my canoe ditch kit. Great to quickly change into after a late November dunking on the River Dee. I’m also pretty fond of the Techlite shirt. If you’re vigilant and persistent you can find plenty of useful outdoor gear in thrift stores -at least here in Canada. We don’t see much army surplus stuff there, but it is available in specialty surplus stores. In the past two years, I have found 5 wool shirts (some with the tags still on ie. new) for about $5 average, 2 Patagonia fleece jackets ($7), and 3 sub-zero sleeping bags, each less than $10 (check the zippers). Somewhat oddly, I have never found a pair of “lumberjack” style wool pants. Invariably, the army surplus suppliers are out of my size. Incidentally, a poncho can be used for a variety of things as most of you know, but also as a “tank” (gear cover for your freight toboggan). I also have a Swedish army surplus white cotton anorak, but have added an Arctic fox fur fringe to the hood. It cost $2 and came from a bin full of cast-off fur stoles donated to the local Salvation Army. My extreme temp mitts are Canadian army surplus, with the stock wool liners. They are XL, so allow space for a second liner. Several weights of balaclavas. -though the heavy silk one I once had shrunk severely (not sure why, wool warp?). Not to worry, it was TOO hot anyway. Yes, you are right. There are some real bargains out there – either unbranded stuff that is just as good (in particular I’m thinking synthetic fleece/pile for example), and clothing that is end of range or even last season. You don’t always get a choice of sizes (or colours) but if you find a garment in your size you’ll often get a bargain. 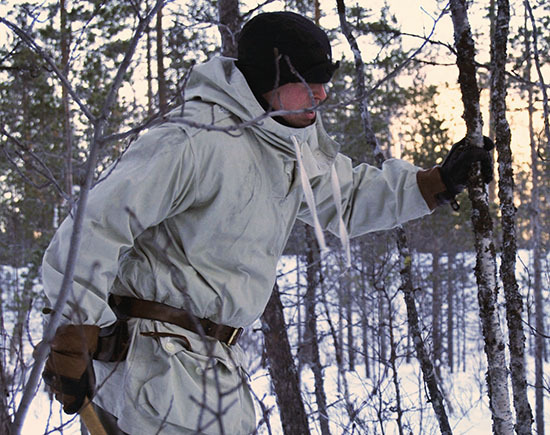 Interesting regarding the Swedish Army smock – did you see Barry’s article over on the Frontier Bushcraft blog? Below for reference..
I’m just planning my first visit to Northen Finland (Kittila) set for January 2015. I’m very much looking forward to camping there with experienced friends. I think this article will be a regular reference for me as I equip. I will be looking through your other posts and videos to get every last scrap of your valuable advice I can. So a Big thank you for sharing and providing us all with a “Go to / one stop” knowledge shop! For FREE. 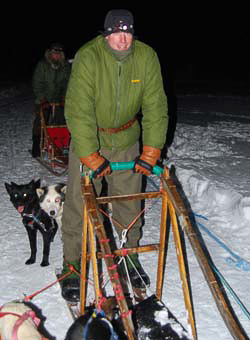 Hi – thank you for this article – incredibly helpful as I plan for a trip to the arctic circle. one question – do you know what trousers Barry is wearing in the photo captioned: Dressed for the snow. Barry in the Swedish army smock. Photo: Chris Hall. Got the snow smock but would be keen to know what the trousers are and possibly where to buy? Hi – thank you for this article – incredibly helpful as I plan for a trip to the arctic circle. one question – do you know what trousers your wearing in the photo captioned: Dressed for the snow. Barry in the Swedish army smock. Photo: Chris Hall. I’m a Swedish Army Officer. The Swedish Army “ski march boots” have not been in service for about 30 years. However, during the 1980:s I wore these boots every winter so I just wanter to pitch in with some experiences. use felt inner soles and double up with thermal socks to create a good fit for your foot. 2: Make sure you service the leather with grease-wax, and the rubber with silicone regularly. 3: Do not ever dry the boots over an open fire. They need to dry slowly in normal room temperature. Otherwise both the leather and the rubber will eventually crack. onward, have a moulded outer sole with a limited life-span, and can not be repaired once broken. As the Scout Master of a BPSA-US traditional scouting group, I can tell you money is always an issue. We couldn’t agree more with the choices you suggested. Here in the U.S.A. we have found an excellent affordable source in Coleman’s Military surplus and they are kind enough to discount even further for the kids. I’m sure there are many more military surplus shoppes that may do the same thing. Only thing I would add… Work a good lotion into your entire body and use petroleum jelly on any exposed skin, plus hands. Thanks for another great article we share them with other groups often. Have fun playing in the cold! Just wanted to mention that this cap is still issued in the Swedish Armed Forces! Ni Nilsanders, thanks for your comments here and the additional detail, including the link to the uniform document. And I heartily agree about not fixing things that are not broken!